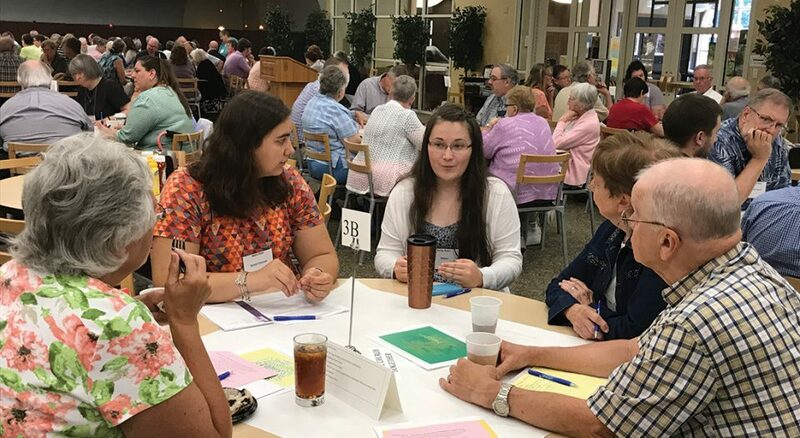 Voting members and guests at the Upper Susquehanna Synod Assembly take part in table discussions, sharing their experiences of church. Notes taken during the conversations will be used to develop a strategic plan for the synod. 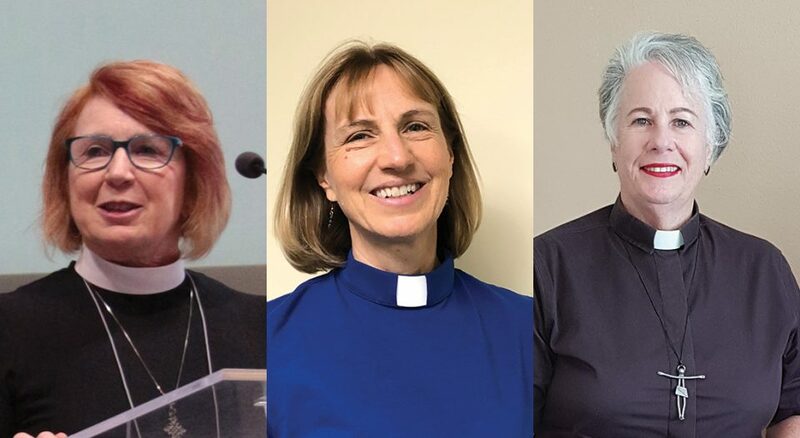 Deborah K. Hutterer (left) was elected bishop of the Grand Canyon Synod on June 16; Laurie Skow-Anderson was elected bishop of the Northwest Synod of Wisconsin on June 3; and Idalia Negron, was elected bishop of the Caribbean Synod on June 16. 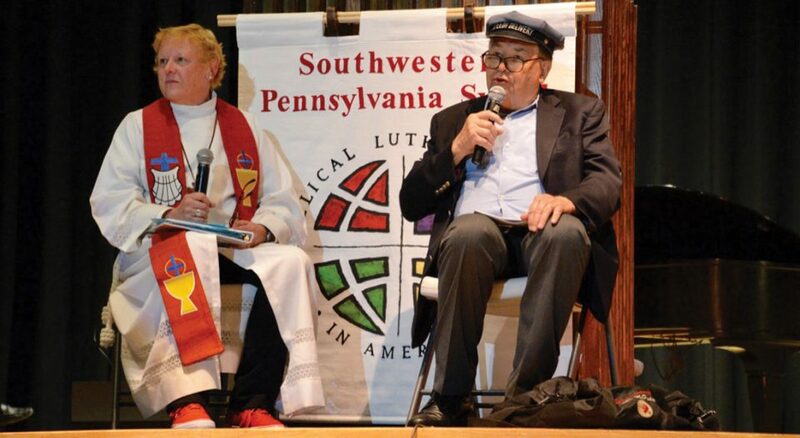 Editor’s note: Synod communicators were asked to share a highlight from their assemblies. What made a difference to participants? What was the most important part of the assembly? Responses received by press time are included here. When provided, there is a web address for more information. Elected: Deborah K. Hutterer as bishop of the Grand Canyon Synod, effective Sept. 1. When: June 16, on the fifth ballot with 145 votes. Peter Perry, pastor of St. John Lutheran Church in Glendale, Ariz., received 135 votes. Bio: Chief development officer for Lutheran Social Services of the Southwest in Phoenix. She was executive director of Faith in the City in Minneapolis and was pastor of St. Paul Lutheran Church in Pontiac, Ill. Received degrees from Augsburg College in Minneapolis and Luther Seminary, St. Paul, Minn.
Replaces: Lowell G. Almen, who has served as interim bishop since August 2017. Elected: Laurie Skow-Anderson as bishop of the Northwest Synod of Wisconsin, effective July 1. When: June 3 on the fifth ballot with 228 votes. John Sutherland, an assistant to the synod bishop, received 187 votes. Bio: Director for evangelical mission for the synod. Served American, Windom; Christ, Slayton; Atonement, St. Cloud; and Trinity, Pelican Rapids, all Lutheran churches in Minnesota. Received degrees from Moorhead (Minn.) State University and Northwestern Lutheran Theological Seminary (now Luther) in St. Paul, Minn.
Replaces: Rick Hoyme, who is retiring. Elected: Idalia Negron, as bishop of the Caribbean Synod, effective Sept. 1. When: June 16 on the fourth ballot with 61 votes. Luis I. Escandía from Iglesia Luterana Buen Pastor, Santurce, Puerto Rico, received 21 votes. Bio: Director for evangelical mission for the synod. Served Iglesia Luterana San Pablo, San Juan, Puerto Rico. Earned degrees from the University of Puerto Rico at Rio Piedras and the Lutheran School of Theology at Chicago. Replaces: Felipe Lozada Montanez, who is retiring. Re-elected: James E. Hazelwood as bishop of the New England Synod on the fourth ballot with 311 votes to 72 votes for the Rev. Angel Marrero, pastor of Santuario Luterano in Waltham, Mass. Re-elected: Brian Maas as bishop of the Nebraska Synod on the first ballot with 477 out of 586 votes, more than 80 percent of the ballots cast.